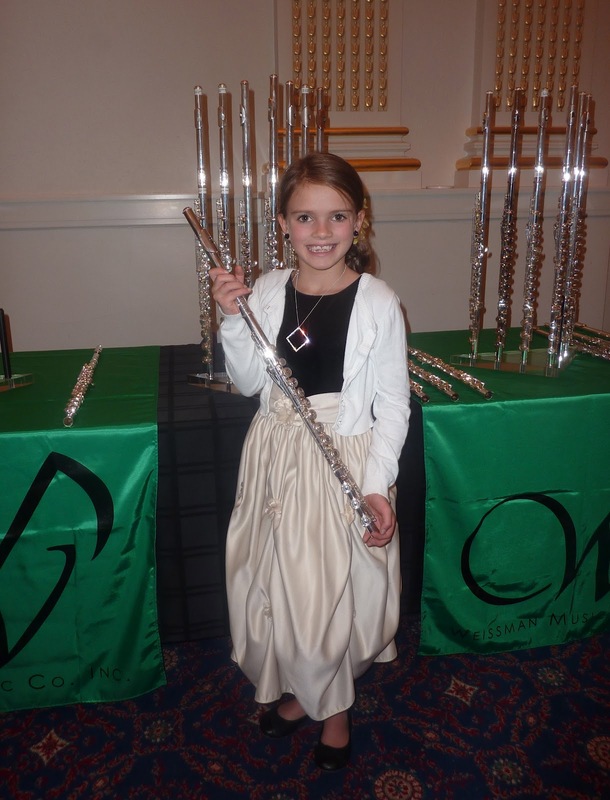 Ellery posing with a $13,000 flute. Not in the cards. The green satin was so fitting for this St. Patricks Day Event. 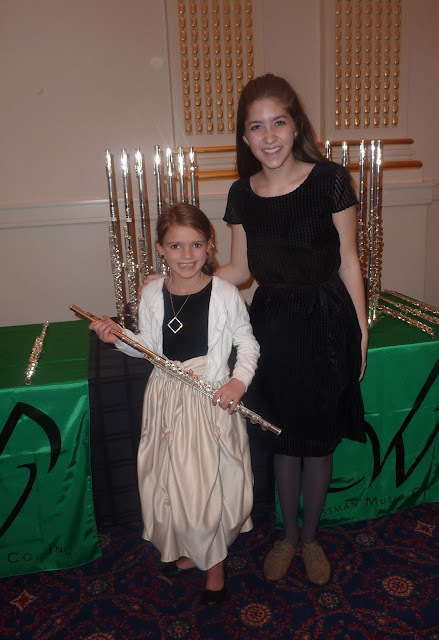 Ellery participated in her first flute competition on Saturday. It was a fantastic learning experience for her. There are a lot of things we will do differently next time. She competed with three pieces, two in the Elementary division (Slovakian Hoop Dance and Estillo) and one in the Junior High division (Cossakaya). I think that was quite a few pieces to learn and we didn't have enough time with the music. Also, we didn't know to tune her flute before, so the first piece she played her flute was completely out of tune with the piano and the stand was directly in front of her face and hands. She did place third for her performance of Estillo, which thrilled her. There were only 4 competing on that particular piece, but she doesn't need that little tidbit of information right now! Marilyn did a beautiful job accompanying. The competition was in SLC at the University of Utah.